The Quadrocopter is a marvel of technology. How to understand the complexities and what is available today. What is a Quadrocopter? Mechanically this has to be the simplest form an RC helicopter can take. Basically we have a brushless motor and a propeller attached to the end of a boom. We can have 3 or 4 or 5,6 or even 8 booms all connected to a center "fuselage"
The fuselage contains the LiPo battery and the control sensors. What cannot be seen is the software required to make the quad. stable. 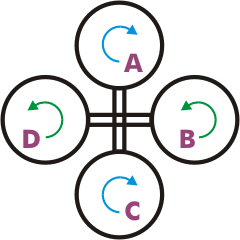 As can be seen in the sketch at the left, 2 of the propellers rotate clockwise and the others rotate counterclockwise. The sketch is from the Wikipedia web site. The propellers are fixed pitch and to control the quadrocopter the speed of the motors can be changed for all the regular model helicopter motions. This is where the software and sensors come into play-it can get very complex to be able to hover, climb, descend, turn and rotate, when the only variable is individual motor speed. However, I believe it is fair to say that the quad.is the most stable platform available today. The majority of the development (at least in the early days) was initiated for military and surveillance operations. 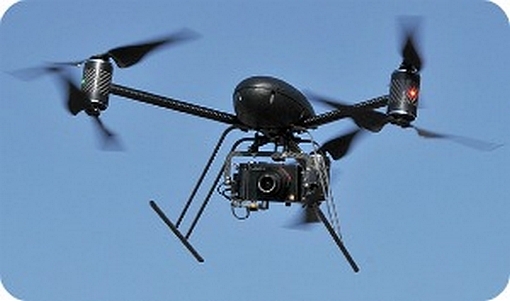 In fact there is an industry devoted to providing microdrones for aerial photography and similar applications. The cost of this technology is relatively high for a hobby level flyer, but as always the cost is dropping dramatically! If you would like to build your own quad., your choices are somewhat limited. I could find only one company offering kits ( See MikroKopter below) You can, of course, decide to design and build your own from scratch. The cost of the technology is reaching reasonable levels and I can point you in a couple of directions, to give you some assistance. This link to RC Groups Forum will give you some ideas that other people have tried. Be warned that this forum is, as of today, over 650 pages long, so you may have to dig to find the useful bits! The cost of the board is, at present, $360-so this does fall into the hobby area. The video below will give you a good idea of the kind of machine that can be built, using this technology for remote control flight. This micro drone is truly an amazing quadrocopter! It is advertised as a "The flying Video Game" and when you start to study this device you can understand why! Visit the AR.Drone page, on this web site, for full information Maybe the most amazing point regarding the AR Drone is that it is controlled by your iPhone or iPad! You do not need to purchase an expensive transmitter to fly this baby! The accelerometers within the i-device are the roll and pitch control. This has to be the easiest remote controlled helicopter to fly! It really is a robot microdrone that includes video cameras that feeds back to the i-device with real time video. The video below shows all the details-take a look-you will not be disappointed! 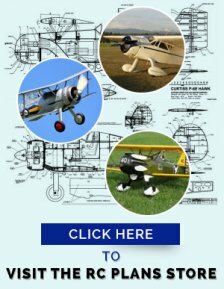 This is a German company that does offer complete kits, ready to build, of several different models. Some models have GPS capability, which can result in some remarkable flights! (See the video below) Click here to visit there site. The web site has full details of a number of different models and many components. If you would like to talk to people, who have similar interests, then there is a forum, full of how to do it information and hints and tips to ensure success of your own quadrocopter. 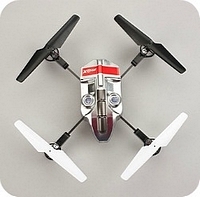 At last there is a quadrocopter that is widely available and made by Horizon Hobbies-The Blade mQX. 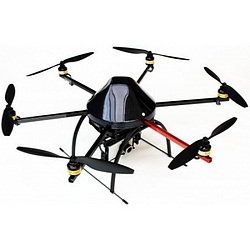 Take a look at this page for full details-The Quadrocopter: The Blade mQX RTF and BNF. 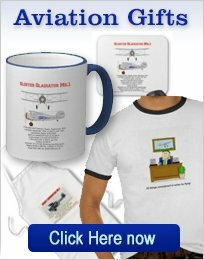 This quad is available as a flight tested BNF, a full kit or an airframe only kit. 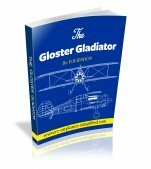 Easy to fly and fully aerobatic, it uses the well known and reliable KK2 board. Here we will find a build review of the VT Quad. Many photos and building tips. Flies just like a fixed wing airplane!